New Listing: 38-1055 Aberdeen Drive, Aberdeen, Kamloops, BC $434,900. Beautifully updated end unit Aberdeen townhome backing on to green space allowing for privacy. 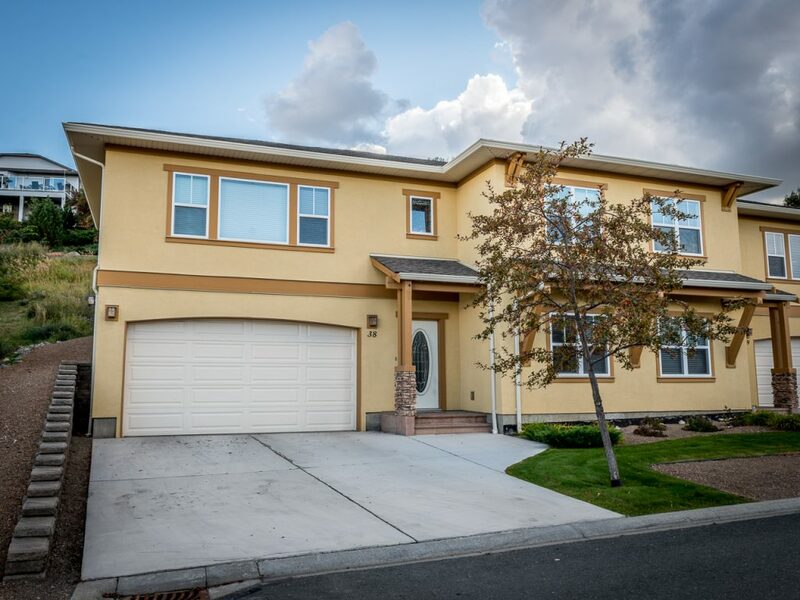 This home features 3 bedrooms and 3 bathrooms. The large main entry has a bedroom off of it which is perfect for an office. The main level features a large open living and dining room space with vaulted ceilings. There are 2 bedrooms on the main floor with 2 full 4 piece bathrooms. The master suite has lots of windows and space including an ensuite and walk in closet. The kitchen overlooks the back grassy space and patio. There are a number of updates including hardwood flooring throughout the main floor, light fixtures and paint. The basement level features an additional flex room with a 3 piece bathroom, laundry room and utility. The garage is a full 2 car garage with bonus storage space, this unit has amazing storage! The driveway also can accommodate 2 vehicles.